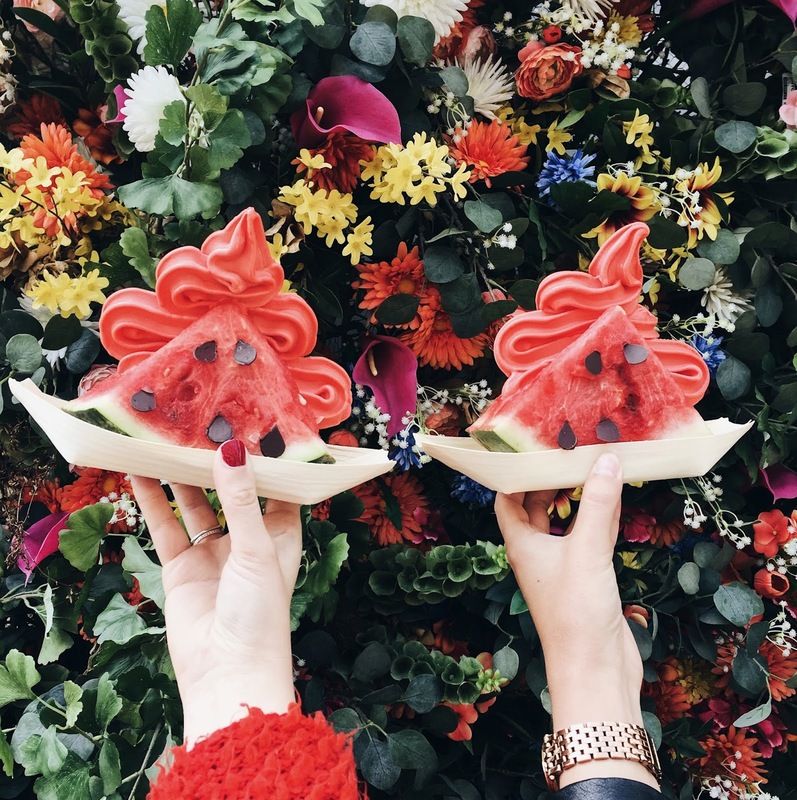 The ice cream that is taking over the world right now is from Dominique Ansel Bakery and you must be living under a rock if you have not seen a glimpse of this watermelon soft serve with dark chocolate seeds on social media. 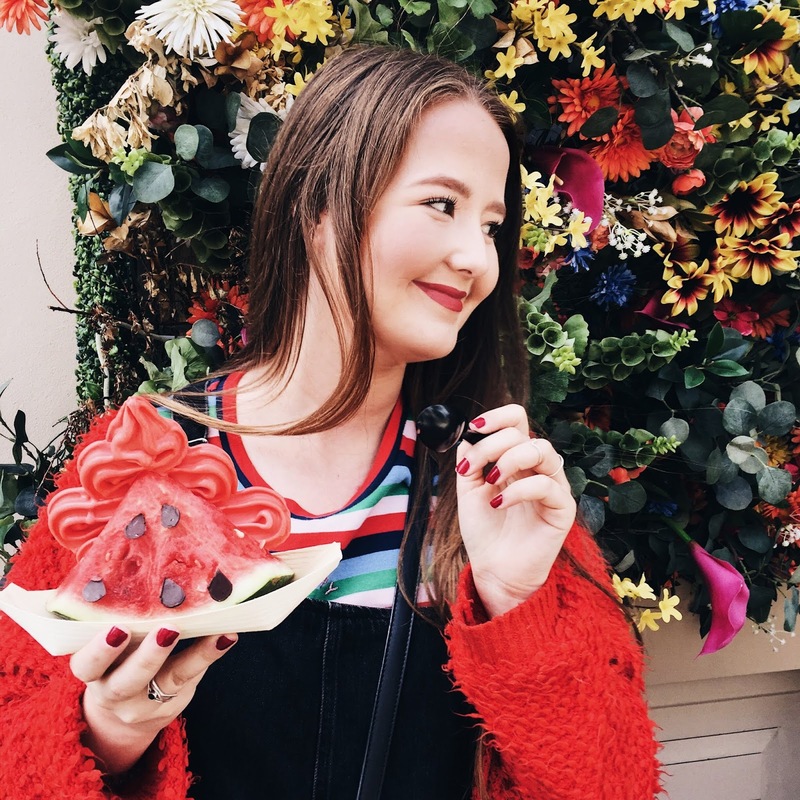 It was just my luck that I visited London around a rather sunny weekend, which means that I basically stuffed my face with ice cream all day -no complains here-. Starting off with this fruity creation from Dominique Ansel. The Bakery is located a few meters away from Peggy Porschen Cakes -the other pink gem full of carbs and sweets-, so my friend and I started our sweet tooth journey there and then walked over the floral building that is Dominique Ansel Bakery. At 10:59 precisely we walked into the shop and after having a look at the menu we saw that the watermelon soft serve is only served after 11:00. The guy behind the counter started laughing that we were here at exactly the right time, but I swear that we didn't plan it. I was not going to say that we just stuffed our face with cake and tea at the pink café next door and this was the next stop on our food travels -I mean I love eating, but I have a little bit of dignity left, you know-. The soft serve is made from fresh watermelon juice, sugar and lime juice. They swirl it around in a fresh slice of juicy watermelon and imitate the seeds with dark chocolate look a likes. The What-A-Melon Soft Serve doesn't come cheap and with £6,50 takeaway/£7,70 eat-in, it will be one the most expensive ice creams I have ever eaten. After way too many photo opportunities outside I took a bite and a sweet, watermelon explosion is what happened next. Because of the hot weather it started to melt quickly and I was very happy with the little boat it was served in. Till the juice actually started to drip through the boat. I took a few bites of the watermelon and threw the rest away since pink dots where dropping on the pavement and my shoes. Doesn't mean that I didn't like the ice cream any less. 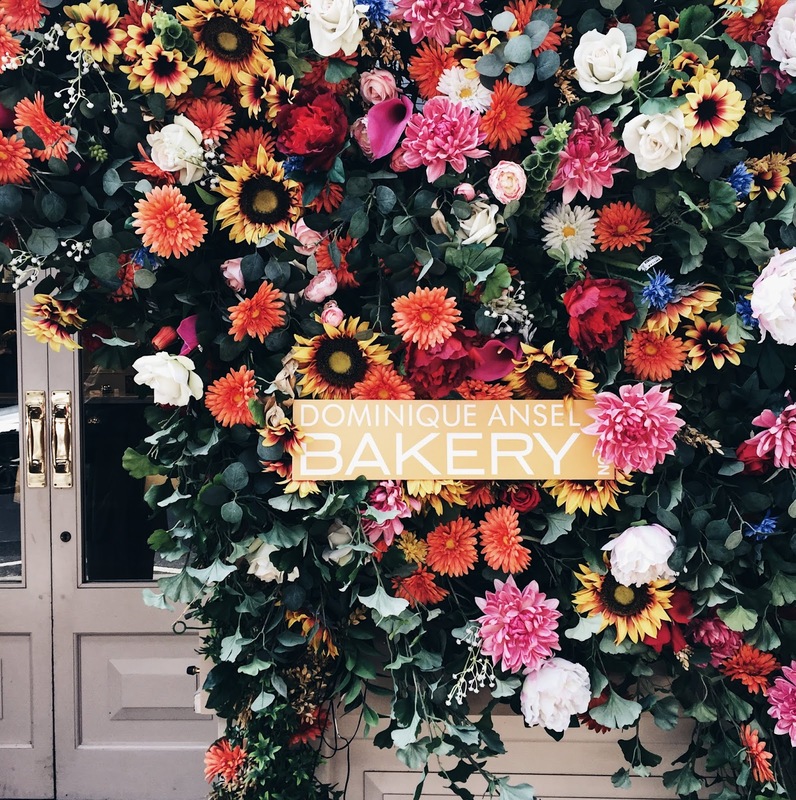 If you are in London on a hot sunny day -or cold and rainy- and are in the mood for something sweet I highly recommend popping into Dominque Ansel for some watermelon or other baked goods that they have lingering around. I know I will next time I'm around! Have your tried this amazing soft serve already?